The mechanism underlying prostate cancer progression from androgen dependent primary tumor to hormone-independent metastatic tumor (CRPC), as well as effective therapies for the latter, have been long studied yet open questions for the field. We used a number of genomic techniques to investigate the mechanism of prostate cancer progression from hormone dependent to independent, during which our informatics analysis lead us to many interesting technical discoveries. I will discuss the analysis of transcription factor footprint analysis in DNase-seq, the target identification of super-enhancers from H3K27ac ChIP-seq, and the design and gene calling from genome-wide CRISPR-Cas9 knockout screens. And finally I will show how we use these analysis to study the gene regulatory changes during prostate cancer progression. X. Shirley Liu is a computational biologist with expertise in cancer epigenetics. As a member of the mod/ENCODE consortia, the AACR Cancer Epigenomics Task Force, an associate member at the Broad Institute, and the co-director (with Myles Brown) of the Center for Functional Cancer Epigenetics at the Dana-Farber Cancer Institute, she is well versed in genomics technologies and computational algorithms for gene regulation studies and high throughput data mining. 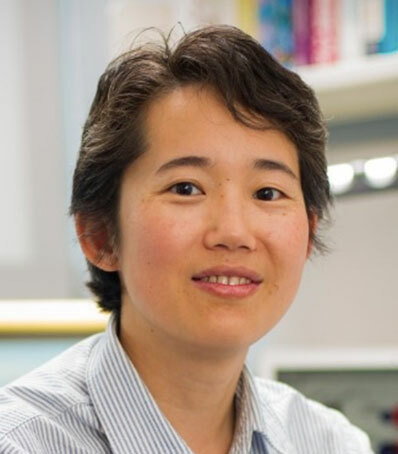 Her research focus is by integrating data from ChIP-seq, RIP-seq, DNase-seq, MNase-seq, RNA-seq, and other high throughput genomics data to model the specificity and function of transcription factors, chromatin regulators and lncRNAs in tumor development, progression, drug response and resistance. Dr. Liu made significant scientific contributions to three major areas, computational biology, epigenetics, and cancer biology. In computational biology, her laboratory developed a number of widely used algorithms for transcription factor motif finding (cited over 2,000 times), ChIP-chip/seq and DNase-seq data analysis (over 9,000 users). In epigenetics, she and colleagues generated the first high throughput nucleosome map in the human genome and were the first to use the dynamics of nucleosome and DNase hypersensitivity to predict driving transcription factors and their genome-wide binding in a biological process. In cancer biology, she and colleagues identified the function of estrogen receptor, androgen receptor, and FoxA1 in breast and prostate cancers, found metabolic and autoimmune genes as signatures associated with cancer initiation, and reported the switch of EZH2 from a transcriptional repressor as part of the PRC2 to a transcriptional co-activator in hormone independent prostate cancers. She published over 100 papers, including over 35 in Nature, Science or Cell series, and she has an H-index of 55 according to Google Scholar statistics. Since becoming a faculty in 2003, she has successfully mentored eight trainees to start tenure track faculty positions, of which three have been tenured (at UCSF, Baylor, and Tongji Univ, respectively).